The pChart library can be used in various ways. It can help you to generate picture object that you‘ll then integrate into PDF files or other kind of online documents. 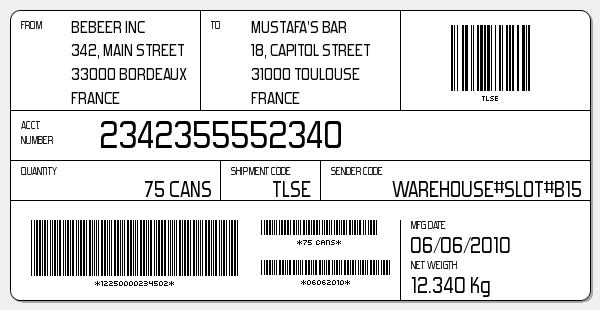 The sample below will show you how to create a tag including barcodes that you can then send to a printer, attach to a mail on insert in a PDF file. You can use the pChart library from the command line to automate tasks. You can also use the crontab to schedule automatic script startup.